First step is to set up the development environment. A variable is a container where data is stored. The data can be of any type. Below you will find the definition of different data types. Note: Unlike some other programming languages like Java in Python you do not have to declare the variable types. A variable of type int is used to store integral values such as 1, 105 and 0. A variable of type Float is used to store decimal numbers such as 1.4, 293.29 and -1322.76. A String data type holds a collection of characters known as a string. The print() function is used for printing data types. More on functions later. print "Python Programming is fun!" Alternatively , you may want to store the string value in a variable and then print its value. In both cases “Python is cool!” will be printed in the output console. 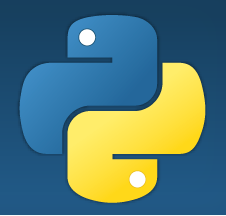 myString = "Python Programming is fun!" Simply put, the assignment operator assigns a value to a variable. Note that the value assigned can be changed later. In which case, the variable will hold the new value. The variable now holds a value of 40. Compound assignment operators can seem confusing at first because in mathematics you cannot add two numbers and assign the result to one of those numbers. This is why it is important to understand the concept of VARIABLE! A VARIABLE can be thought of as a box or a container that holds a value. It is in effect space in memory that holds a value. a was initially holding the value 1. We then execute a + b and assign the result to a.
a now holds the value 3. Arithmetic operators are used for mathematical calculations. This is equivalent to 3 to the power of 3 and will return 27. 14/4 returns 3 with a remainder of 2. Therefore 14 % 4 returns 2. The comparison operators returns a boolean. In other words they return True or False. In Python, strings can also be compared for equality and ordering using the comparison operators. To learn more about Bermotech’s Python Tech Camp and other Coding Courses for Kids and Teens please call 020 7433 2576 or email us at info@bermotech.com. We also offer term time coding courses for teens.